In common terms, a disease is an abnormal condition that is caused by infection, basic weaknesses, or environmental stress. A disease is defined by a specific group of signs or symptoms. Diseases prevent affected animals from functioning normally. Health is the overall condition of an animal at a given time. Disease causes this condition to weaken. This can result in poor productivity and reduced quality of the affected animals. It could even lead to the death/loss of one or all of the birds in a flock. Diseases can be categorized by common causes, such as genetic, mechanical, toxic, and nutritional. Infectious diseases are caused by viruses, bacteria, and fungi. 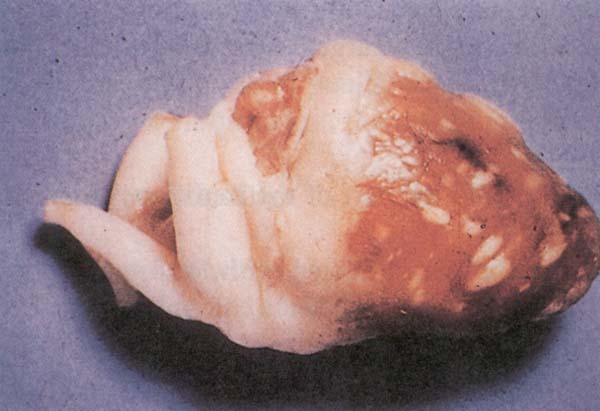 Parasitic diseases are caused by protozoa, worms, and external parasites such as mites and lice. Infectious agents, commonly referred to as “germs,” move from one susceptible bird to another in order to survive. For this to occur in a flock, a sufficient number of disease-causing agents must be able to gain access to the susceptible birds. These are birds that have no immunity or other resistance against these agents or whose defense mechanisms have been reduced or overwhelmed at the time of infection. 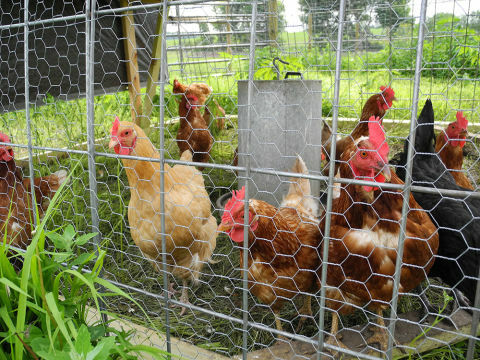 WHY IS DISEASE SUCH A CONCERN IN POULTRY? Certain diseases have the potential to decimate a region’s poultry industry. When one of these diseases strikes, a quarantine or embargo could suddenly be placed on a region or nation. This could cause widespread economic hardship for both commercial and small flock owners. To protect their animals—and the poultry industry—flock owners must be able to identify diseases quickly to prevent them from spreading to other animals. The sooner a disease is identified and action is taken, the better. In addition, infectious agents need a “home base,” or reservoir of the disease, to persist in an area. This reservoir could be other birds or organic matter providing life support for these agents. Disrupting the methods by which diseases are spread can greatly reduce the threat to your flock. Some diseases have a greater effect and higher consequences for the bird population than other diseases. One of these, pullorum-typhoid disease, caused such concern that it prompted the creation of the National Poultry Improvement Plan. Active efforts by the NPIP to control this disease have proven very successful, and as a result, the disease has nearly been eradicated. However, pullorum-typhoid testing needs to be continued due to continued exposure from imported birds and other sources. While concern about pullorum-typhoid disease has been reduced significantly, other diseases still threaten today’s poultry population. Two of these are avian influenza and Exotic Newcastle Disease. By becoming educated about these diseases, flock owners can protect their birds and promote better animal health. Below are descriptions of these diseases, including their symptoms, how they are spread, and effective prevention methods. Take time to become familiar with this information. Avian influenza (AI) is a respiratory disease of birds. 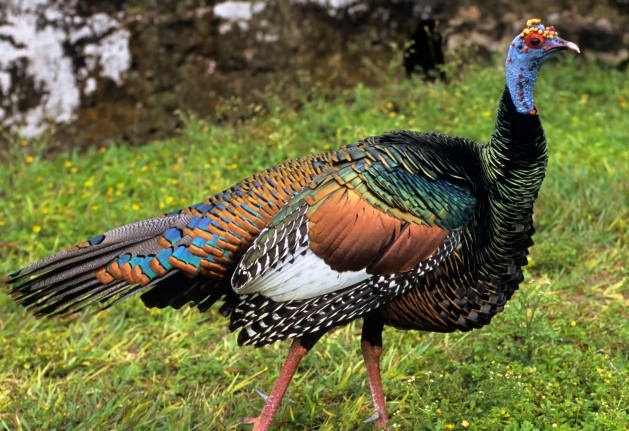 AI viruses can infect chickens, turkeys, pheasants, quail, ducks, geese, and guinea fowl, as well as a wide variety of other birds. Migratory waterfowl seem to be a natural reservoir/host for AI viruses. Type A influenza viruses are classified according to the severity of illness they cause. AI viruses can be classified into low pathogenic and highly pathogenic based on the severity of the illness they cause in birds. Low Pathogenic Avian Influenza (LPAI): Most AI strains are classified as LPAI and cause few clinical signs in infected birds. Birds with LPAI may appear healthy and without signs of sickness. However, LPAI can cause mild clinical signs, such as slight facial swelling and some respiratory symptoms. LPAI is monitored because two strains of LPAI—the H5 and H7 strains—can mutate into highly pathogenic forms. Highly Pathogenic Avian Influenza (HPAI): This is a very infectious and fatal form of the disease that, once established, can spread rapidly from bird to bird or flock to flock. One gram (approximately one fourth of a sugar packet) of contaminated manure can contain enough virus to infect 1 million birds. HPAI typically causes severe illness with high death losses. Survival Period of the AI Virus: HPAI viruses can remain viable at moderate temperatures for several weeks in the environment and can survive indefinitely in frozen material. The virus can be killed by dehydration or sunlight. Exotic Newcastle Disease (END) is a contagious and fatal viral disease that affects all bird species. It is one of the most infectious poultry diseases in the world. END is so deadly that many birds die without showing any signs of disease. In un-vaccinated poultry flocks, a death rate of almost 100 percent can occur, and END can cause death even in vaccinated poultry. Poultry hobbyists and owners of pet birds should be especially careful because birds illegally smuggled into the United States are not quarantined and tested by U.S. Department of Agriculture and, therefore, may carry the END virus. Survival Period of the END Virus:The virus that causes END can survive in a warm and humid environment for several weeks. This environment could be birds’ feathers, manure, and other materials. Frozen, the virus can survive for extremely long periods. However, it is destroyed quickly by dehydration or sunlight. Prevention of END: Prevention of END can be done through sound vaccination programs and practicing biosecurity. Also, avoid contact with pet birds that belong to others, game fowl and live bird markets. Pullorum-Typhoid (PT) bacteria are host-adapted, with all types of fowl being vulnerable to infection. Turkeys, for instance, are very prone to the disease. For them a serum test must be used, because research has shown this is the most effective test for these particular birds. Chickens are especially susceptible to pullorum-typhoid disease. 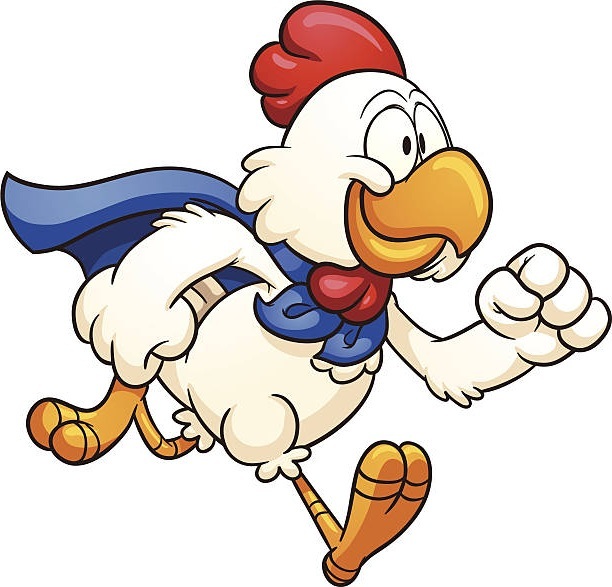 Both hens and roosters can carry the bacteria, oftentimes doing so without showing any outward sign of infection. 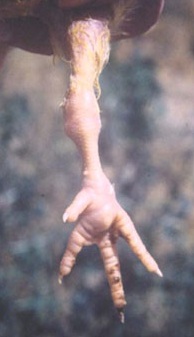 Occasionally, though, an adult bird’s joints may show signs of swelling, which is an indicator of possible pullorum-typhoid contamination. Survival Period of PT: Pullorum-typhoid bacteria can live in birds or eggs for more than a few weeks in the appropriate temperatures. The bacteria can be inactivated in extreme freezing temperatures and killed in extreme heat. 1. Take steps immediately to reduce the spread of disease. Separate the sick bird(s) from the rest of the flock. Do not allow any person or equipment to come into contact with your flock or property until you can consult with a veterinarian. Shower and disinfect your clothing and footwear after contact with the sick bird(s) or its environment; you will need to repeat these actions each time you have further contact with the sick bird(s). 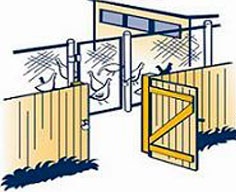 There are many additional steps you can take to reduce the risk of infection for your birds. Module 4 contains more information about protecting your flock through a biosecurity plan, or a group of actions that are used specifically to prevent the spread of diseases. 3. Contact the Purdue Animal Disease Diagnostic Laboratory. 4. (Optional) Call the USDA’s Biosecurity for the Birds toll-free hotline at (866) 536-7593. The USDA operates a toll-free hotline that can offer information about the proper steps for dealing with a possible disease outbreak. They can provide a local contact. Congratulations on completing Module 3!